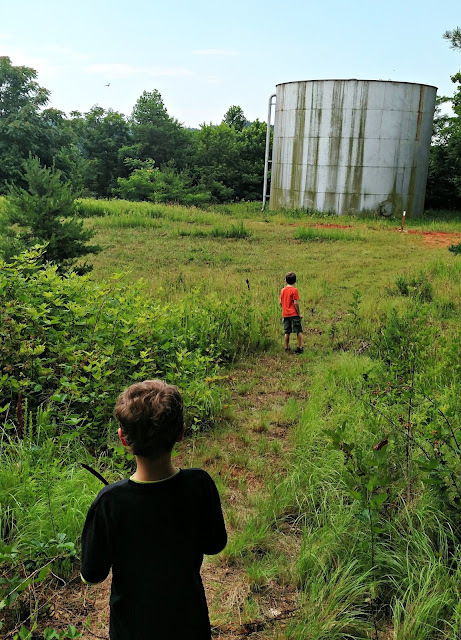 Last month I saw where a new hiking trail had been formed not far from us, so we decided to give it a shot on Father's day. The trail had lots of white dashes painted on trees, but there were times when it wasn't quite clear which way to go, and we did end up doing one loop twice by accident. There were so many berries teasing us - not quite ripe yet. 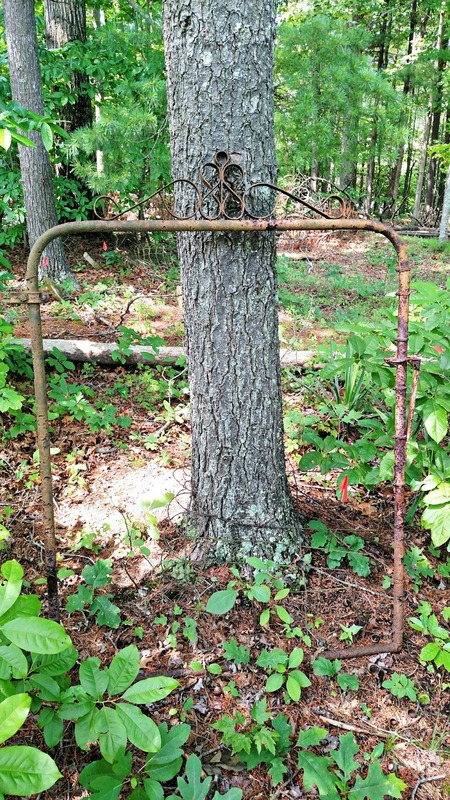 The fence was fallen in most parts, and we found the old gate propped against a tree. 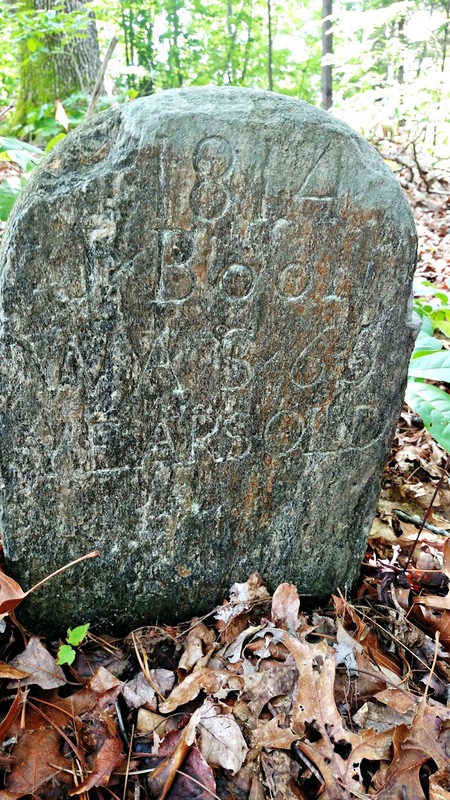 In google, I found that the town is hoping to restore this cemetery as an area of historic interest. I hope that will happen. But it was an interesting place deep in the woods. The trail doesn't have a name yet, but perhaps if more people hike it, it will shape up and earn a name. ...what a wonderful cemetery to explore. Those old cemeteries are so interesting, aren't they? I'm glad y'all have a new trail to hike! Such a nice Father's Day excursion; I'm sure Paul enjoyed it with you and the little ones. We love checking out NEW trails --especially ones that go back into to the woods where not many people have been.... The earth/land feels so peaceful and unchanged by humans..... You'll have to go back when the berries are ripe... YUM. That would be great to have it restored. Around here they don't restore enough of our old buildings. Tear them down and make parking garages. :( I wish we kept our history in tact more. A lot of great discoveries and memories. So it cuts right through an old, old cemetery. 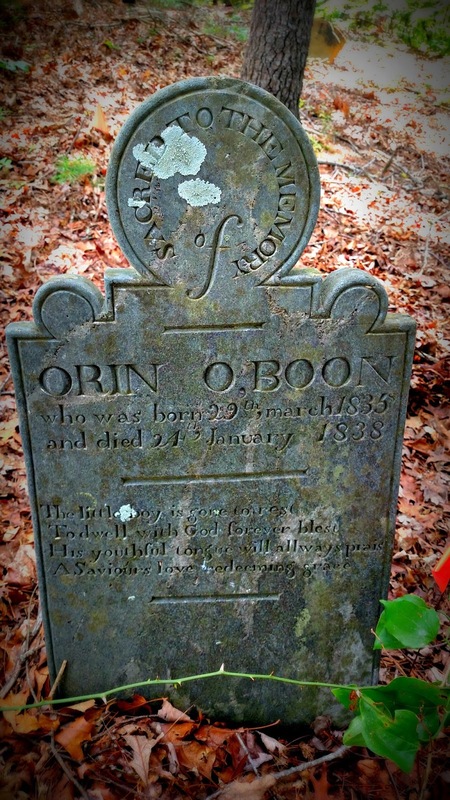 I have never seen grave markers this old, and made this way! They are amazing! What treasures you found, it must have been a wonderful hike! I can see distinctly where they cut the high grass and weed back to make the trail. You never know what you will find on a new trail. I do hope they do something with the cemetery. I play Words With Friends on Facebook. Is this where you play? So we would need to friend each other. But maybe you play on a separate website? I will join it and play if you send me the link. I am sure you will really whomp me! I like Scrabble too. I would like to wander around that cemetery just a bit. Neat! Those are some old graves. Thanks for sharing your hike. Very cool. I love finding the older cemeteries. I hope they do restore this one. I would love to explore it! beautiful photos - looks like a nice place to explore . .
what a excellent special walk on special day my friend! i imagine the fun you guys must have there! Can you imagine all the history in that cemetary? Looks like a nice, quiet trail. What a nice trail so close to home. I think old cemeteries are so cool. I guess you were given a fancy headstone if you had money back then. 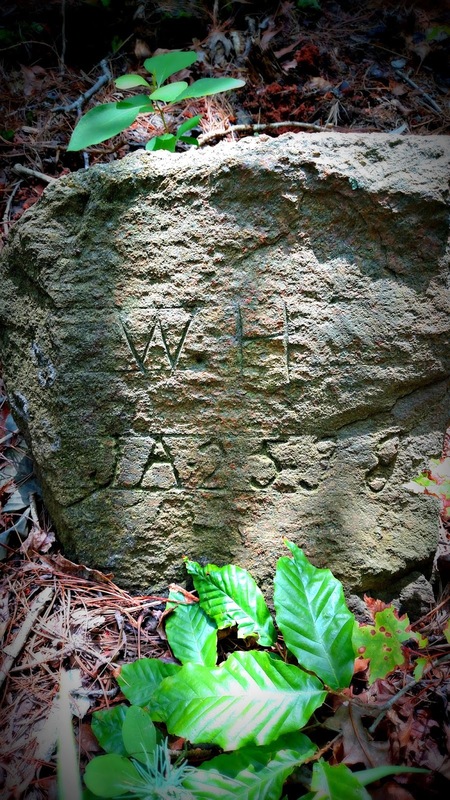 How funny that it doesn't mean much to us now...It's just that--a fancy headstone.